KHOST PROVINCE, Afghanistan (Jan. 17, 2005) A single gunshot shattered the early morning quiet Jan. 12. A few moments of silence followed, leading some to believe the shot was an accidental discharge. Then, a flurry of machine gun fire erupted from a nearby hill, erasing those thoughts. This was an attack. Within a matter of seconds, Marines from 3rd Battalion, 3rd Marine Regiment were out of their sleeping bags and returning fire on their attackers. For about 20 minutes, the Marines and their unknown attackers exchanged fire just outside a village in northern Khost Province. In the pitch black of the early morning, the Marines had only the muzzle flashes of the attackers to fire at. During the exchange, the attackers fired several rocket-propelled grenades, including one that hit about 10 feet from a Humvee that just moments before had three Marines sleeping on the ground around it. The attackers fled before Cobra helicopters arrived on scene, leaving one Marine with a gunshot wound to his arm. He was evacuated back to Forward Operating Base Salerno, where he was treated and released to his unit later in the day. Lance Cpl. Ryan Lane said there were between 15 and 20 attackers. An infantryman in Weapons Company, 3rd Bn., 3rd Marine Rgt., Ryan was one of eight Marines manning a watch point on the hilltop closest to where the attack came from. The Marines had arrived at the location just before sunset the evening before. It was the first night of a scheduled four-day, three-night mission. Lane, who turned 21 years old on Jan. 12, said he was asleep when at about 3 a.m. his squad leader jumped on top of him. He awoke and heard rounds impacting around where he was sleeping. At one point during the firefight, two of the attackers moved closer to the Marines’ position and each fired an RPG, Lane said. One hit the hill below the Marines’ position, sending debris flying, and the other RPG whizzed over their heads. It remains unclear who the attackers actually were, but Lane believed it was a well coordinated attack by Anti Coalition Militants. He said the Marines on fire watch could hear them setting into their positions just before the attack. 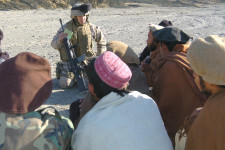 Almost as soon as the sun started to come up, locals from the village started approaching the Marines with information. The Marines spent the majority of the next three days acting on this information in an effort to find the attackers. They never found those responsible, but they found several weapons during searches. Additionally, the Marines were able to accomplish all of the mission’s original goals, said Capt. K.C. Barr, commander of Weapons Co. That included setting up a mullah conference, evaluating a well construction project in the village, conducting patrols with the Afghan National Police, and following up on some old intelligence leads. Barr said because of the attack, he could have searched any home he wanted to in the village. Instead, he chose to talk it out with village elders and allow them time to solve the problem. During his dealings with locals following the attack, Barr, a native of Upper Darby, Pa., said he was able to talk from a more emotional level. “I think we shifted (the villagers’ trust) in our direction,” Barr said. 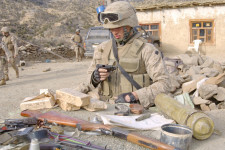 On the last day of the mission, villagers handed the Marines several weapons, including RPG launchers Barr believes were used in the attack. In addition, Barr said the experience was beneficial for the Marines because it helped erase any complacency they have developed since arriving in Afghanistan three months ago. “Undoubtedly, this flipped on a whole bunch of light bulbs, and it took that complacency and wiped it off,” he said. The Marines returned to FOB Salerno the night of Jan. 14 without further incident. Barr said they received information on the identity of the attackers and will act on it in the near future. On a routine basis the Marines of Weapons Company, 3d Battalion, 3d Marines conduct security and stabilization patrols in the North Eastern district of the Kowst Provience, however, this weeks patrol would be anything but routine. As the day drew to a close, the Marines of First Platoon (Rein), lead by the Company Commander (Capt. 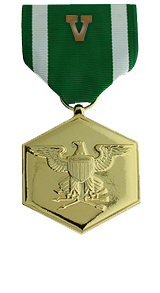 Kenneth Barr) established an imprumptu patrol base in the immediate vicinity of their area of operation. 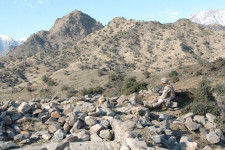 Staff Sergeant Rodriguez conducted a terrain analysis and defined the defensive perimiter. His Non-Commissioned Officers (NCO’s) stood up the guard force and sent a squad of their Marines forward to establish listening and observation posts. The Marines setteled in for yet another bone chilling night, unbeknownst to them that it would not be long before both their training and defenses would be put to the test. At approximately 23:00, the initial attack would commence with a volley of RPG’s (Rocket Propelled Grenade’s) which would be woefully off target, but the enemy persisted combining small arms and medium caliber machine gun fire in an attempt to bracket their targets. Within seconds the Marines returned surpressive fire which momentarily halted the enemies volley, then the exchange and volume of fire became mutual for several minutes. By the end of the fire fight one of First Platoon’s own would be wounded, luckily not seriously. The injured Marine was struck by a 7.62 mm round of the enemies AK-47. The round pierced his left bicep and exited clean missing all major arteries and bones. The Marine was treated on the scene by Corpman and later MEDEVAC’d to FOB Salerno for further evaluation. Once the patient was seen, he was treated and released within thirty minutes, and diagnosed with minor injuries with expected full recovery with two to three weeks. On the lighter side of this horrific incident, one Marine was heard shouting at the top of his lungs saying “SAY HELLO TO MY LITTLE FRIEND!! !” as he launched HEDP (high explosive rounds) from his M203 grenade launcher – reminiscent of the famous lines spoken by Al Pachino in the movie “Scar Face”. Even in the face of such events Marines seem to make light of the situation, in an after action report made by HM3 Hurley, (a corpman with First Platoon) he stated that among all other things Lance Corporal Lane’s shouting out “Say hello to my little friend!” remains the most memorable moment of the event. I watched this Marine stand up in the face of enemy fire and drop munitions on the enemies position, it was both humorous and inspiring. We are thankful for each day that we have together, every day we are learning something new and increasing our technical and tactical proficiency. Luckily no one had to pay the ultimate price for todays lesson.